DALF is a project made to respond to the risk of drought, in coastal areas of developing and developed countries, which are located in areas with a high risk of desertification and saltwater intrusion. A small desalination plant, for agricultural purposes, is placed a few hundred meters from the coast; it captures water through an hydraulic pump, makes it useful for agricultural purposes (by reverse osmosis) and then sends it into a pipe, that ends in an artificial basin. The basin is designed and built so that it is a semi-natural lake, surrounded by native vegetation, which can give shelter to the flora and fauna of the place. Around the pond, at a certain distance (secured by the vegetation buffer), small plots of fertile land will rise. They will be used by local peasants. In times of drought, the lake becomes an "insurance fund" of water for farmers, who can capture the water needed for crops and do not suffer hunger, making them safe in the case of extreme drought or heat. DALF is a preventive plan against the risks of CC. The desalination plant is activated to fill the lake and then to keep it at a constant level during non-drought periods. In times of drought, however, the desalination is activated every day, to provide farmers with the necessary water and to maintain an acceptable level for flora and fauna. The peasants are therefore committed to the maintenance of the plant and the cultivation of the fields; in cases of drought or extreme heat, they can draw more water from the DALF. In this case, water is a “direct insurance” against risk. The DALF therefore responds precisely to 4 SDG: 15, life on land; 13, climate actions; 6, clean water and sanitation; 2, zero hunger. It combines a form of social protection (the freshwater lake that irrigates the fields in drought areas) with an elementary form of risk insurance (higher amounts of water taken by farmers during extreme weather events). We have the will to work together with the administrations of countries, whose coastal territories are at high risk of desertification; the administrations subsidize the construction of DALFs in the most endangered communities. The reverse osmosis desalination plant, is then put into operation for agricultural purposes, with a rather low desalination capacity (5 mc / h, 10 mc / h). The electrical energy necessary for the operations of the plant is given by a photovoltaic system, that can be built as a roof cover for the desalination plant. Therefore, an excavation of 1250 m (50m x 25m) is carried out, with a depth of about 2 m, and a capacity of 2500 cubic meters (the size of an Olympic-size pool). In order to maintain the water inside the excavation, we will not use plastic sheets, but we will try to create an impermeable layer of clay or organic material; or we will proceed in the same way of the "Holzer" method, which exploits the physical process due to vibrations, called "granular convection". In this way, it will be possible to allow a small part of water to infiltrate the soil and bring moisture even at a certain distance from the center of the lake. In this way, during the first year, two objectives will be reached: the total filling of the basin and the creation of a very dense natural buffer, which will allow to limit the insolation of the basin and preserve the survival of the plants. When both the basin and the buffer are stabilized (first year), we proceed with the creation of vegetable gardens and "forest gardens" around the lake, surrounded where possible by dry stone walls or plants resistant to drought (prickly pear, for example) . The gardens are managed by the community, which also manages the functioning of the desalination plant. Some people in the community are in fact instructed to be able to keep the project alive. The drainage of water from the DALF is managed by the community: it must always maintain a balance between the needs of the gardens and a sufficient level of water for the buffer and the aquatic life. Over the years, part of the water will slowly filter into the soil and make the surroundings of the lake more welcoming for plant life (and therefore animal life). During periods of drought, we will proceed with targeted abstractions of water for the survival of the gardens; this doesn’t mean that gardens “waste” water: they must be designed so that they are already resilient to drought and use ancient methods and new technologies (where possible), so that the abstractions are not misguided. It is legitimate to ask why to invest a large part of budget in creating a lake. The lake is essential because it allows to restore life to areas at risk of desertification, even for native plant and animal species. In this way, the DALF becomes a complete project that embraces 4 SDGs. Therefore, the lake can become a pleasant place for the community, which can use it to cool off, to practice sports (sport fishing, swimming, etc. ..) and other activities. Water is life, and the lake of DALF is, in our opinion, the essential core. During periods of drought, lake water becomes a form of insurance for farmers, who instead of having to wait for state or private subsidies, can manage their water supply carefully and maintain an acceptable lifestyle. The desalination plant produces brine, as a by –product of desalination. Salt is a very important product in a DALF project: depending on the place and the community, it can become a bargaining chip with other communities or industries that can use it. Salt, however, can be stored for a long time and without any damage to the environment (and men) in storage places, before being transported for use. Only about 6% of the salt is manufactured in the world for food use. Of the remainder, 12% is used in water conditioning processes, 8% goes for de-icing highways and 6% is used in agriculture. The rest (68%) is used for manufacturing and other industrial processes, and sodium chloride is one of the largest inorganic raw materials used by volume. It’s really important to include salt in the DALF projects, because it can be really useful for the communities economy and wellbeing. QG Enviro group: the QG group Enviro develops the idea, designs it and draws it. It searches for suppliers (companies which build desalination plants, construction companies, energy companies) and look for contacts with national and local administrations in countries at risk of desertification. He oversees construction work, together with experts from local governments. Governments and administrations: subsidize the construction of DALFs in their territories and provide, together with QG Enviro, experts who will teach communities how to manage a DALF, from desalination plant to sustainable farming techniques that has to be practiced in the gardens. Private companies: even large international private companies or foundations can subsidize a DALF in developing countries, cooperating with QG Enviro and local governments. NGOs: it would be useful to create a network, together with NGOs that already operate in areas at risk of desertification, to provide the educational tools useful for the community in the management of the DALF. Individuals: we will try to widen the group of experts of QG Enviro, in order to be able to design the DALF as well as possible with people who are very competent in their fields. 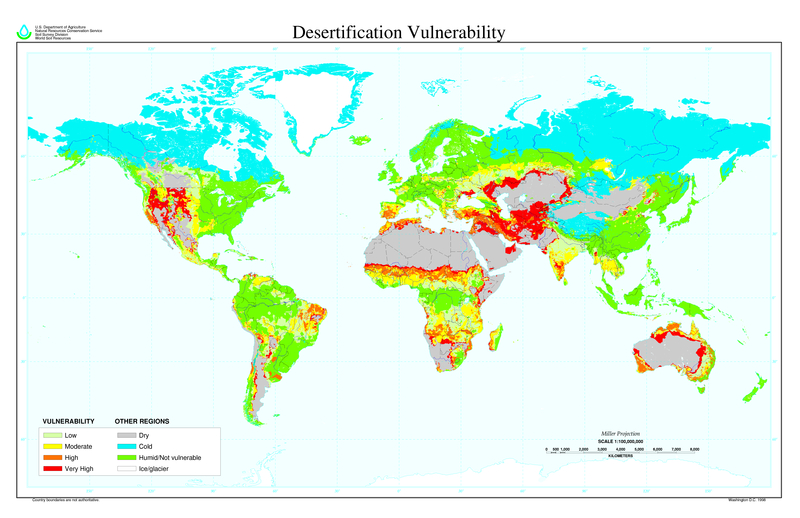 The DALF is a project that could be implemented in all coastal areas at risk of desertification, in developed countries and in developing or poor countries. Obviously, what would change would be the intended use of water: In the poorest countries, water would be used more for agricultural purposes in small gardens, especially during dry periods. In developed countries, such as European countries for example, a DALF would be useful to improve the coastal ecological network (via the lake), and to limit the phenomena of saline intrusion through the slow percolation of water from the lake to the coastal stratum. Abstractions of water for agriculture, compared to countries with major problems of water supply, would be lower in percentage. We could implement a prototype DALF in Italy, and then export abroad. DALF is a project suitable in a lot of different locations on coastal areas of South Europe, North and South of Africa, Middle East, South Asia, North and South America. In communities where DALFs will be established; we would certainly have a lower emigration rate due to climatic phenomena such as drought; Lower rate of malnutrition and higher employment rates in agriculture and related work; Regarding the environmental benefits, we must mention the possibility for fauna and flora to have an oasis, where they can easily repair and refrigerate, especially in very hot regions and during extreme climatic events such as drought and heat waves. The problems for a DALF project, are certainly linked to the correct education of the community in the conscious use of the structure. The maintenance of the plant needs, in the initial stages, a lot of mentoring by QG Enviro and the other experts involved. The ability to procure materials (plants, mechanical parts, etc.) and human resources in remote places could be prohibitive; as it would be difficult to transport material and machines. These evaluations are however site - specific, and in some places they would be easily overcome. Salt management must be clarified immediately by the community, otherwise from a potential resource it can be transformed into a waste to be managed. In the short term, QG Enviro aims to bring the DALF to public and private investors and try to find the ideal partners for the first realization. The horizon of 4 - 5 years seems a window wide enough for this possibility. In medium term we plan to create the first DALF plants both in Europe and in other continents. At this stage the project is booming, we are counting on engaging many communities and numerous external experts who can support it. In the long run, we imagine that we have built dozens of DALFs around the world. QG Enviro is in its phase of maximum expansion, similar projects are implemented by other competitors (even if it is better to call them "cooperators”! ); the management of DALF is now in the hands of the communities that fully use them for their needs. Brown, C., and M. Carriquiry (2007), Managing hydroclimatological risk to water supply with option contracts and reservoir index insurance, Water Resour. Res., 43, W11423, doi:10.1029/2007WR006093. NGIGI, Stephen Njuguna. Climate change adaptation strategies: water resources management options for smallholder farming systems in sub-Saharan Africa. New York, NY: The Earth Institute at Columbia University, 2009. GORDON, Line J.; FINLAYSON, C. Max; FALKENMARK, Malin. Managing water in agriculture for food production and other ecosystem services. Agricultural Water Management, 2010, 97.4: 512-519.